regular readers will know i have a weakness for shoes. i still stand by my belief, that a pair of beautiful shoes can make a cheap outfit look expensive, but an expensive outfit will be ruined by crappy shoes. i said that to my colleague a few months back when he was thinking of getting a pair of shoes to attend a friend's wedding. 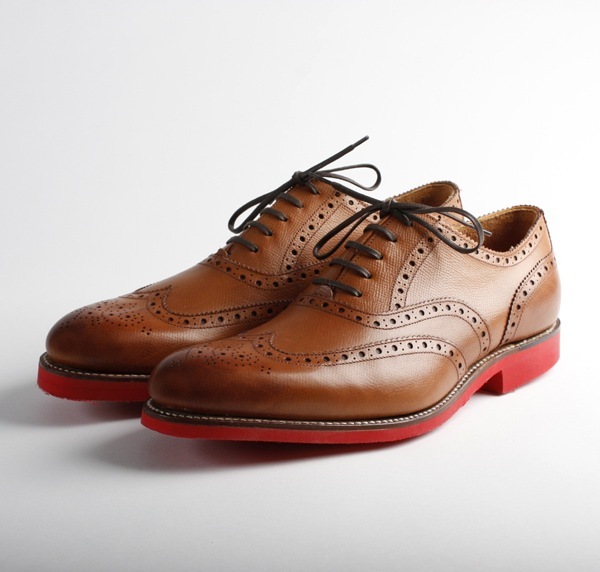 after working out a reasonable budget, i took him to the grenson store by liverpool street station in london. i must have good persuasive powers: he wanted a pair, he left with two! but truth is, we both were rather taken aback by how well constructed grenson shoes are, and that prices are really reasonable too. all their shoes are goodyear welted (a time consuming process) but it meant that the shoes should lasts longer than other type of shoes. it also meant that the shoes can be re-soled many times over, making them a wonderful investment. 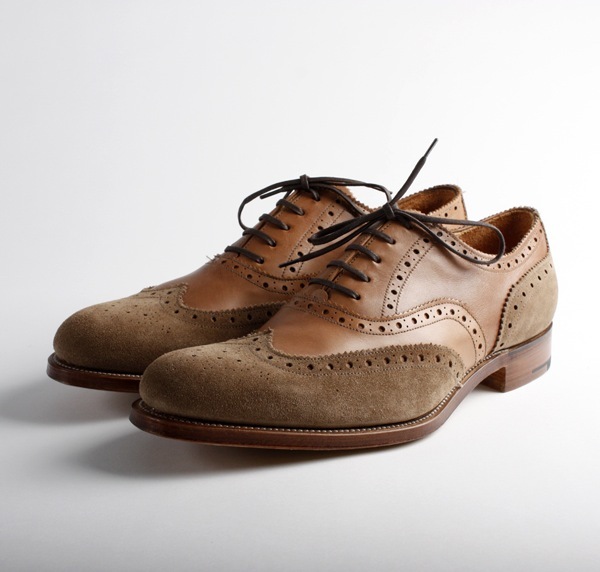 my favourite pair for spring summer 2011: the dylan brogue in suede and smooth calf in that oooh so perfect chestnut hue. 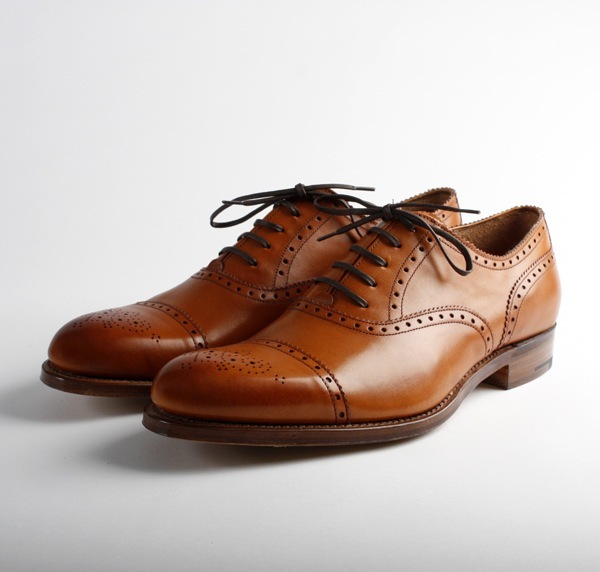 and then there's the classic "tom" the oxford shoe, again in a beautiful shade. the "dylan" is also sexed up with hot pink rubber soles. slightly disturbed that the right sole is higher than the left. must be the angle or styling. 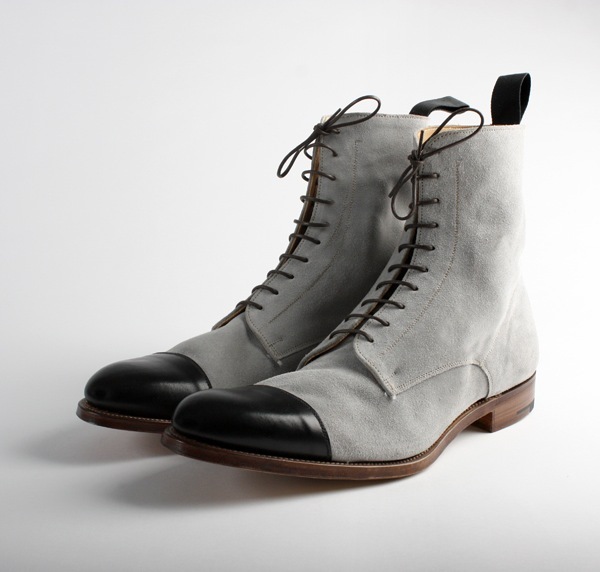 i also like "bernie" the grey suede boots with smooth black toe caps. very johnny depp don't you think? 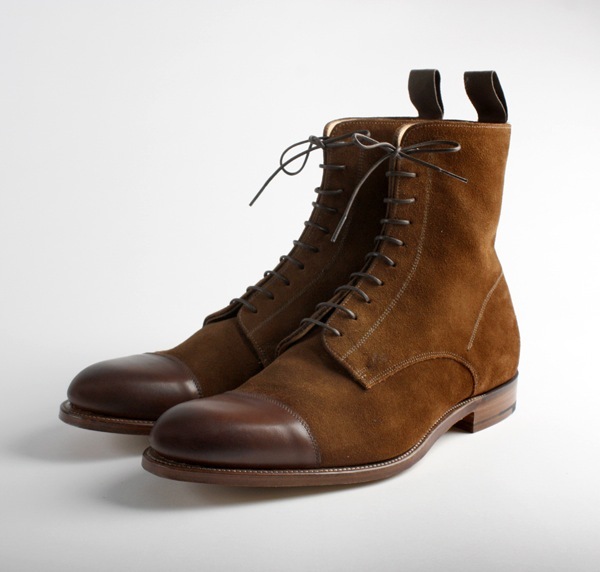 a close favourite to the "dylan" suede/calf brogues, are these "bernie" brown suede boots. i could really do with a pair right now. time to grab my colleague and head to grenson again. more online here. thanks for introducing this to us. I have my eye on Archie V. better than the prada ones. Hello! May I know where did you get the pictures from? Grenson's online shop doesn't have those shoes yet..
andy: the shoes are due to arrive at their online stores in the next 2 weeks, keep a lookout for them! I see what you mean about the pink soles the right one hasn't been cut the same as the left. If you can see the right is a lot thicker than the left. It is rather concerning when they are using these images for promotional purposes.